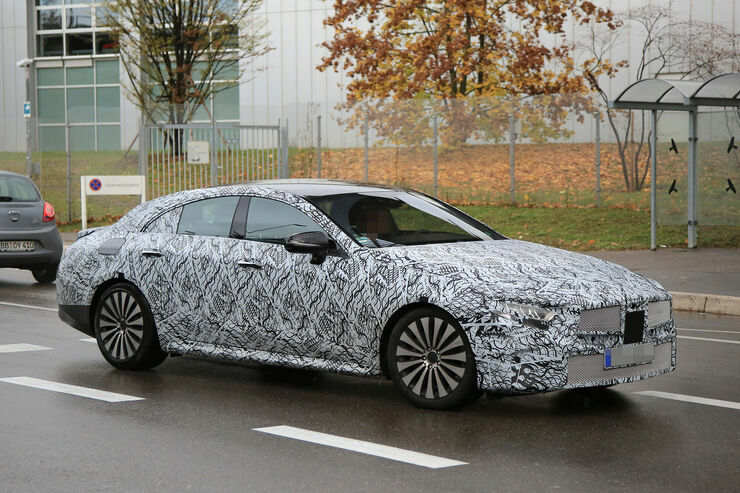 First pictures of the next generation of the creator of the "4 door coupe" hype. Although it will be derived from the E-Class platform, unlike say the SLC name switch won't happen here, but the CLS name remains, so again already breaking with the new found "naming logic". Apart form the name staying the same, platform and engines will be new, and it also seems that the car will look sleeker, with an even faster rear window, and a longer tail, including a rear end that looks similar to the S-Class coupe and convertible, including the horizontal taillights.